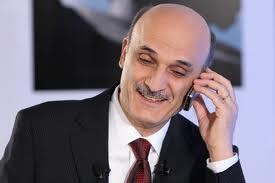 Snipers armed with long-range rifles mounted with optics this week shot at Lebanese Forces chief Samir Geagea outside his Maarab residence in Lebanon’s Kesrouan district but narrowly missed him. The French foreign ministry, the U.S. ambassador in Beirut and the UN special coordinator for Lebanon promptly condemned the outrage. Geagea, who paid high profile visits to Egypt, Saudi Arabia, the UAE, Qatar and Iraqi Kurdistan during the Arab Spring, and his Lebanese forces are the foremost Christian component of the March 14 Alliance. Although the alliance won the 2009 parliamentary elections, its leader Saad Hariri formed a national unity government with the pro-Syrian and Hezbollah-led March 8 coalition. Hariri was toppled and replaced as prime minister by Najib Mikati in a “palace coup” masterminded by Hezbollah and Syria in early 2011. Hariri has been sheltering in Saudi Arabia since. Today, five Lebanese columnists offer their perspectives on the attempt on Geagea’s life. Rola Muwaffak, writing for Lebanese al-Liwa’, guards against downplaying the link between the bid on Geagea’s life and the 2013 parliamentary elections. She notes that while Aoun’s popularity is on the wane and Geagea’s is waxing, Hezbollah and company remain bent on winning a legislative majority in next year’s vote at all costs. Geagea outlined his party’s political agenda last September in a landmark address commemorating martyrs of the Lebanese resistance. "Annan came too late, possibly much too late"
"Lebanese and Syrians: Good riddance, Sarkozy"
Syria trips up "blue berets" after "yellow vests"
Mount Everest, Saudi pink climbers are coming!